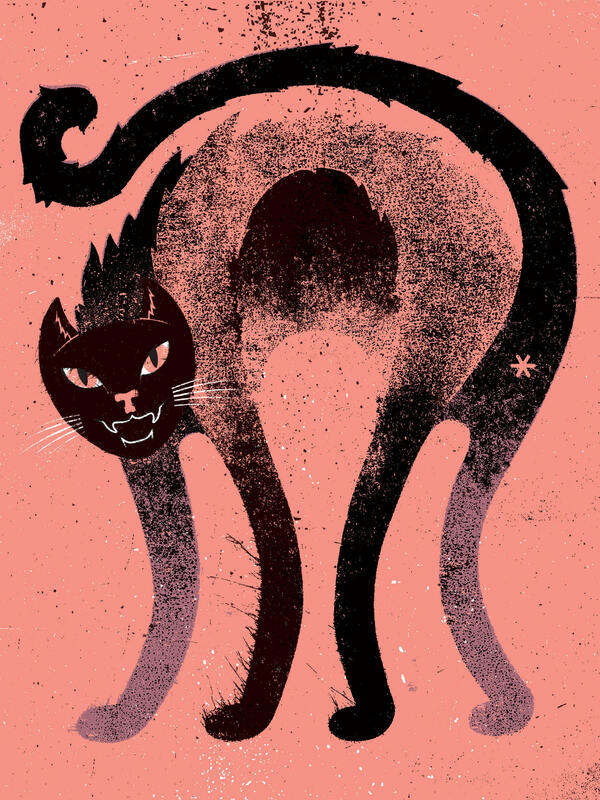 I am an unabashed “cat person,” so of course I had to make a cat art print. While I may prefer sweet, cuddly furballs in real life, I couldn’t resist drawing up this mean, nasty cat. As a side note, cat butts are never, ever NOT hilarious.